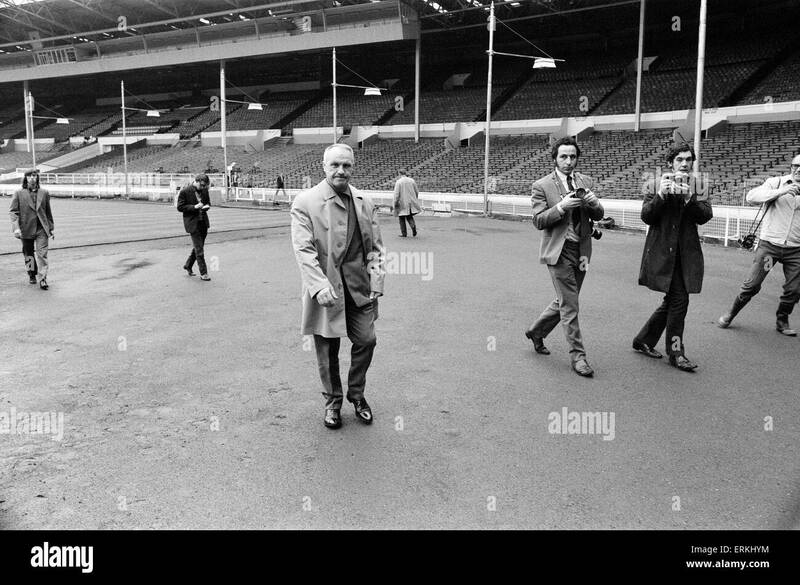 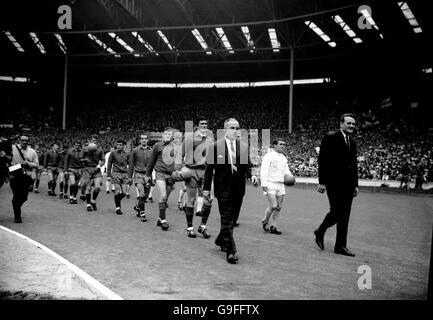 Liverpool manager Bill Shankly at Wembley Stadium to inspect the pitch ahead of his side's FA Cup Final match against Arsenal. 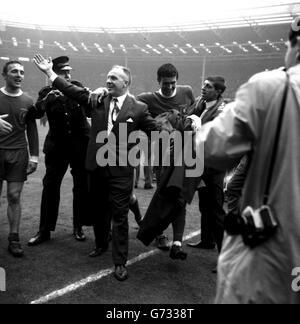 7th May 1971. 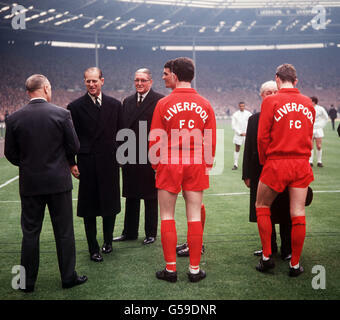 Arsenal forward George Graham (left) is seen with Liverpool manager Bill Shankly at Wembley Stadium, where the two teams are due to play tomorrow in the FA Cup Final. 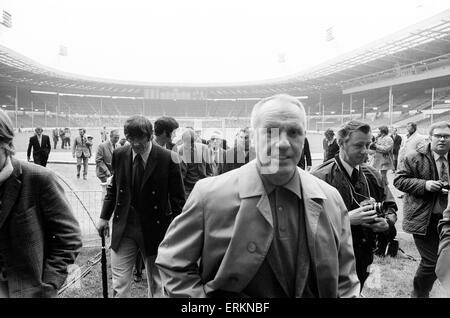 Liverpool manager Bill Shankly at Wembley Stadium to inspect the pitch ahead of his side's FA Cup Final match against Arsenal. 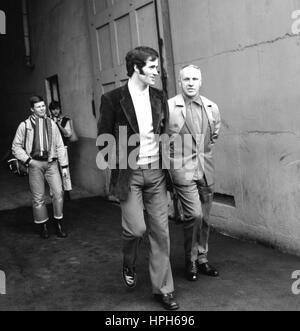 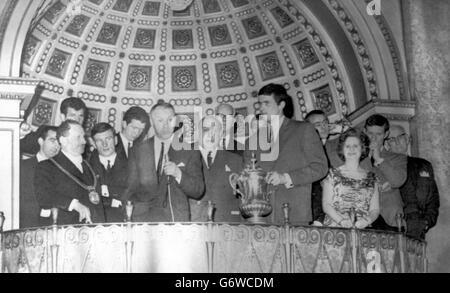 Pictured with George Graham of Arsenal. 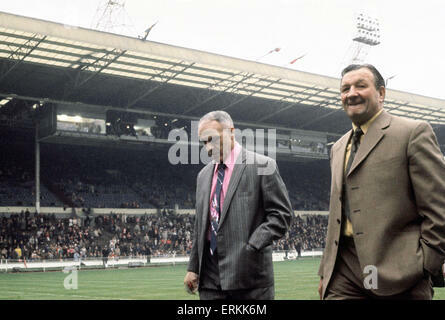 7th May 1971. 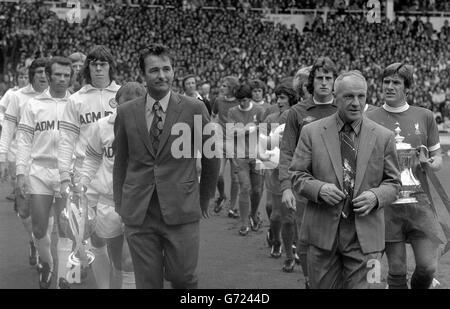 Liverpool manager Bill Shankly walks on to the pitch accompanied by Bob Paisley at Wembley Stadium for the 1974 FA Cup Final match against Newcastle United. 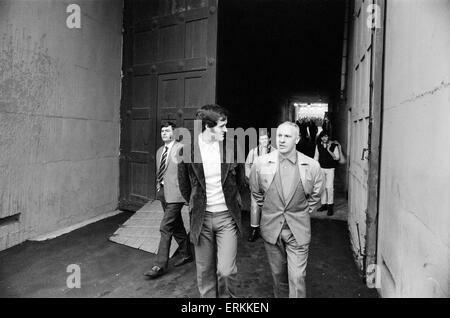 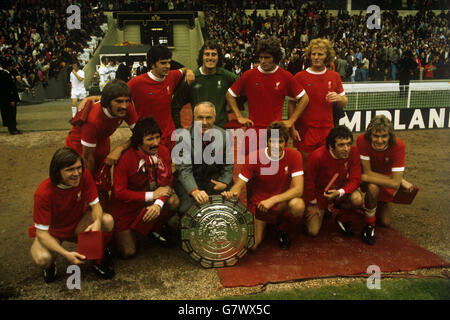 4th May 1974. 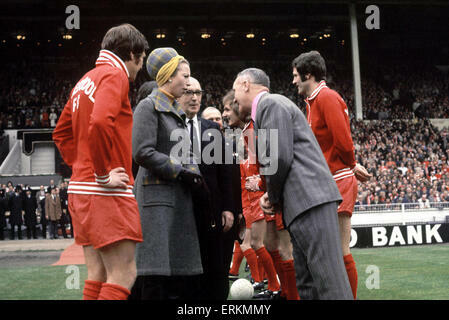 Liverpool manager Bill Shankly shakes hands with Princess Anne at Wembley Stadium before the start of the 1974 FA Cup Final match against Newcastle United. 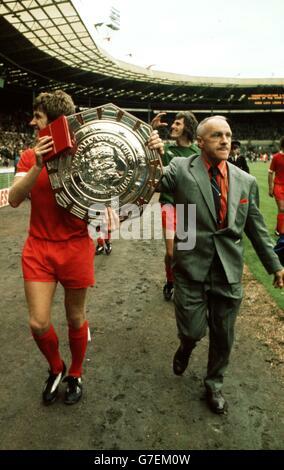 4th May 1974.